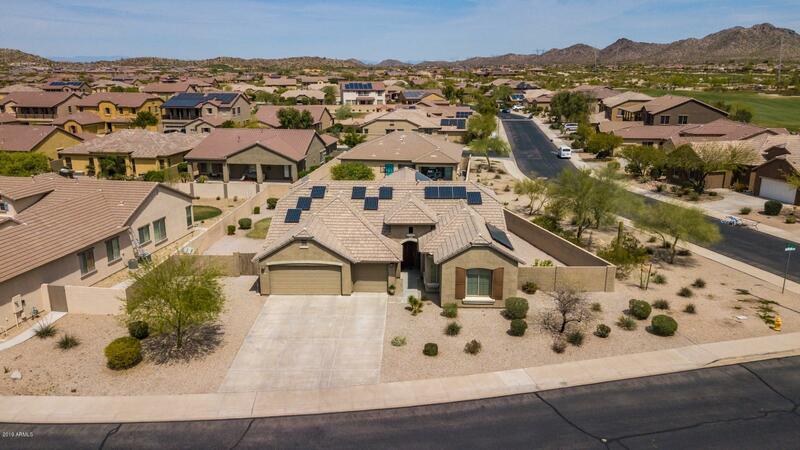 All ESTRELLA MOUNTAIN RANCH P homes currently listed for sale in Goodyear as of 04/26/2019 are shown below. You can change the search criteria at any time by pressing the 'Change Search' button below. 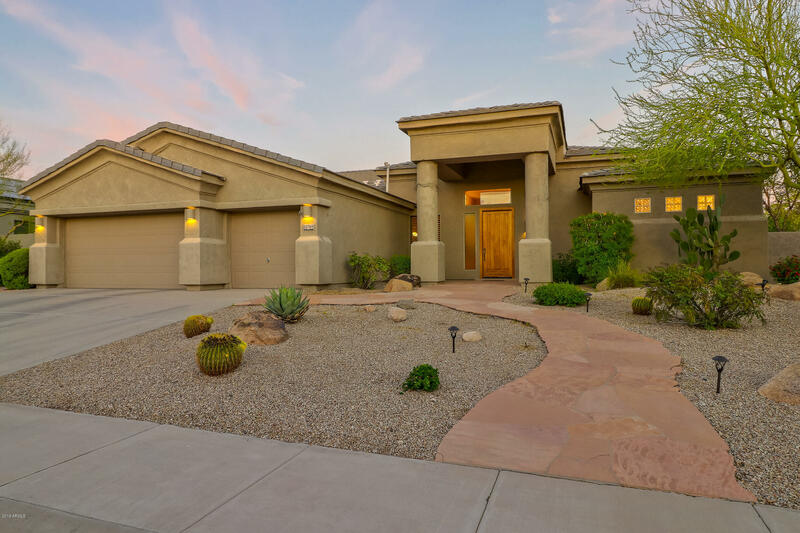 "Check out this highly upgraded, stunning TW Lewis basement home located on the golf course in the desirable master planned community of Estrella. 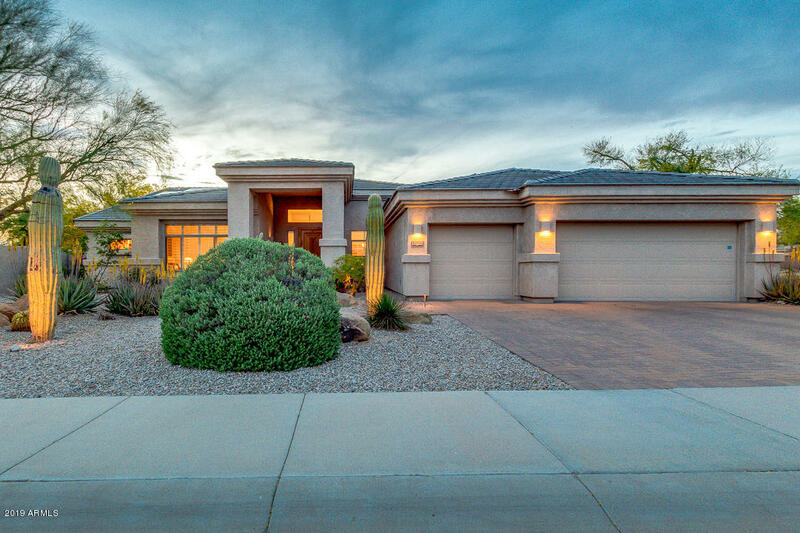 This home offers 5 spacious bedrooms, 4.5 baths, and a 3 car extended length garage. Two of the four secondary bedrooms have private en-suites and all bedrooms have large walk-in closets. 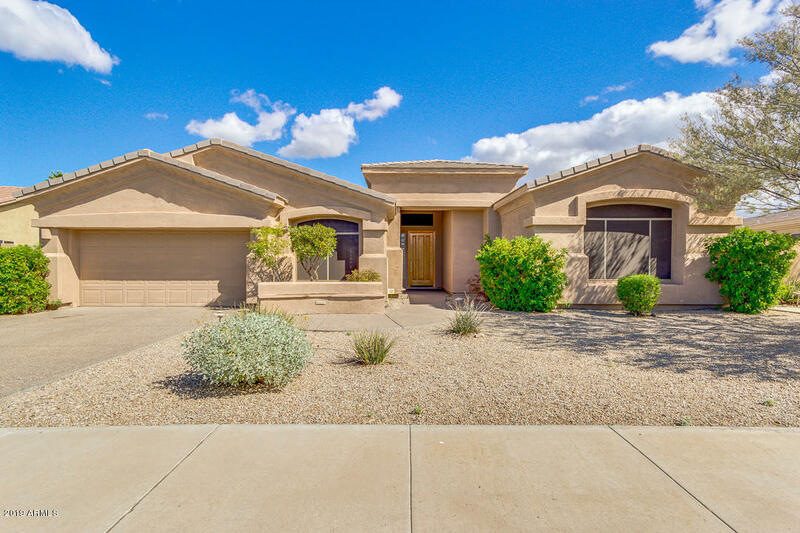 The kitchen boasts of white full overlay raised cabinets, beautiful upgraded granite counters, Viking gas cooktop/range, recently replaced built in wall microwave/"
"Located on a private gated golf course in the Fairways, enjoy outdoor living with superb mountain views & mature desert landscape. The private courtyard wrought iron portico doors welcome you in this stunning home with designer finishes: arched entry's, art niches, & media wall with gas fire place. Over $70k in recent upgrades including 1900 sq ft of new travertine to plush carpet, extended patio around the pool, new dishwasher, fresh exterior paint & more. 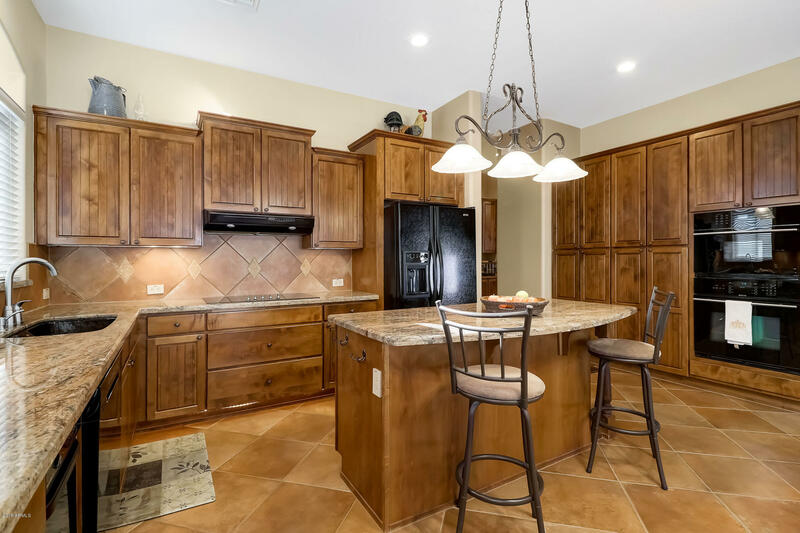 The kitchen is an entertainers dream "
"An incredible opportunity to own a TW Lewis home in a premier gated golf course subdivision in one of the few lake communities in Arizona! Large corner lot adjacent to community greenbelt w/ maximum privacy on each side. 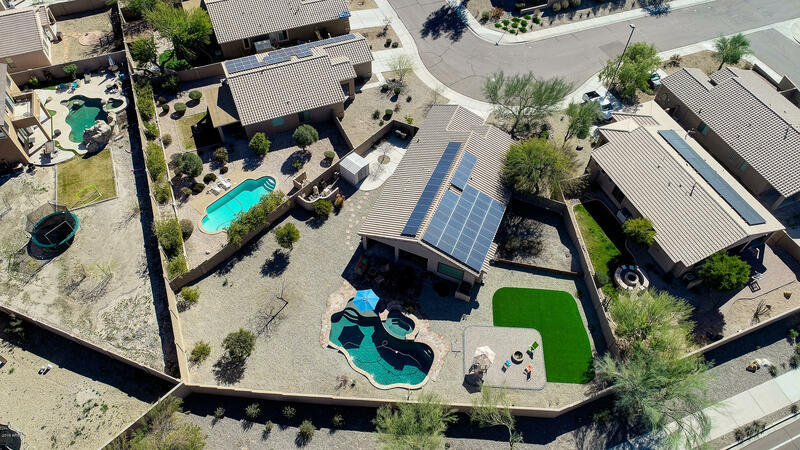 No expense spared from the OWNED solar, H2O Concepts whole house water filtration, attic insulation rating near R45, automated remote pool system, salt water pool, recessed stereo speakers throughout, motorized awning at back patio to the top of the line smart home alarm system." 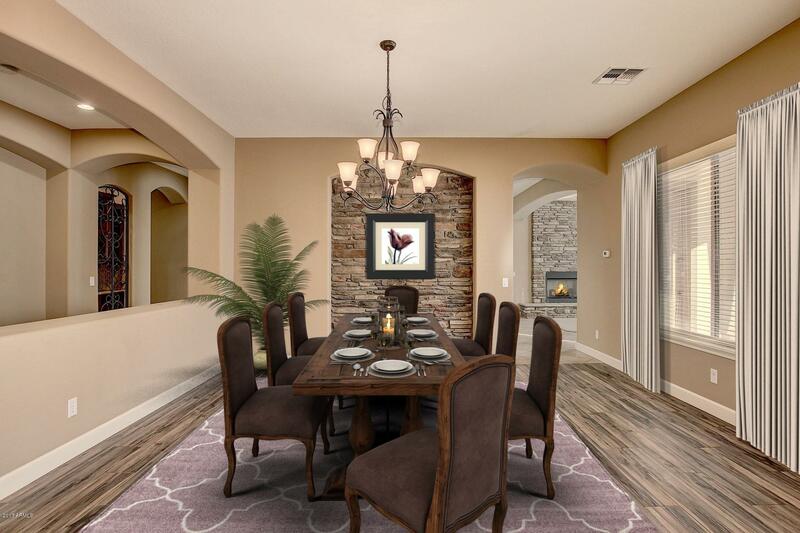 "Exquisite semi custom TW Lewis home with all the bells and whistles with room to entertain your heart out.....Pebble sheen POOL in the back yard or front enormous courtyard with custom pavers raised hearth Fireplace- you pick. Gated golf course community makes this home a must see! Unique 4 bedrooms suit's, split floor plan, & separate entrance from DEN / Courtyard is very guest friendly. Kitchen has eat in Island, staggered cabinets, walk in pantry, back splash, & granite counter tops with ton"
"This is a fantastic 4BR/2.5 BA TW Lewis single level pool home on a premium lot with no neighbors behind. Enter your new home to an elegant foyer that opens to the formal dining area and living room with views directly to the backyard. This upgraded home offers a split floor plan with an open kitchen and great room design. The gourmet kitchen boasts granite counters, SS appliances, upgraded raised paneled cabinets, kitchen island, beverage/wine cooler and opens to an informal dining area and fam"
"Beautiful Fluente TW Lewis in Gated Emerald Greens. Custom Flagstone walk ways, 3 Bedrooms, 2.5 Bathrooms, and a 3 Car Garage. Granite kitchen counter tops and a gas cook top stove complete the kitchen. The back yard living space is made for entertaining complete with Custom built Gazebo,full kitchen to escape the sun and a crystal blue pool accented by Travertine cool deck. This backyard is waiting for you! A Bonus to the property, CFD was Paid In Full!!!" "Welcome to Estrella Mountain Ranch. This remarkable move-in ready home is over 2800 square feet with a 3 car garage, private courtyard and situated on a corner lot. Enter in to high ceilings gorgeous tile floors, a massive living room, and recessed lighting throughout. The eat-in kitchen is complete with a gas cook top, stainless steel appliances, custom cabinetry and a center island. The large family room is lined with rich wood floors and has ample room for entertaining your guests. Step out b"
"Beautiful T.W. Lewis home in gated, golf course neighborhood is the perfect place to call home. Situated on over a third of an acre, with sparkling pool, this backyard is the perfect place to have fun, entertain, just relax, or run and play! Home includes tile flooring throughout with newer plush carpet in the bedrooms and bonus room and lovely plantation style shutters on all windows. 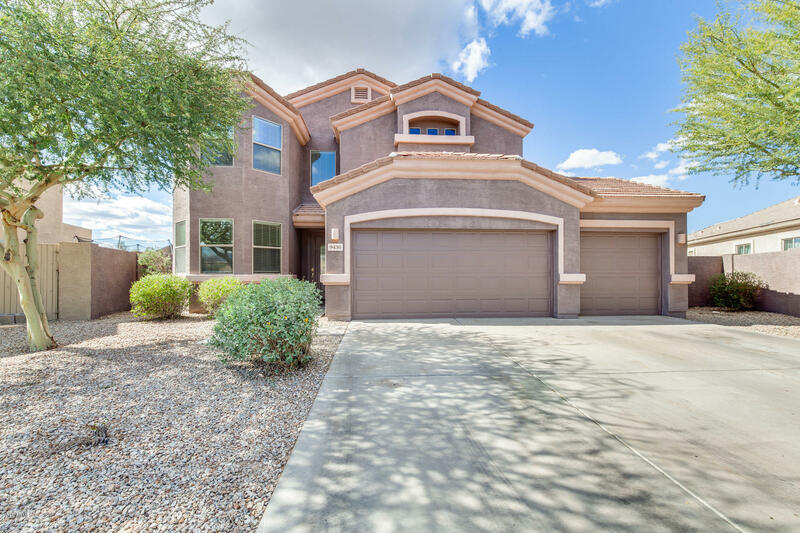 Beautiful entry foyer opens to formal living and dining room with a wall of windows opening to the big backya"
"Check out this beautiful 3 bedroom, plus den TW Lewis home located in the gated neighborhood of Emerald Greens in the Community of Estrella. This large lot backs to a common area and has SOLAR! Electric Bills average only $113/month!! That's a savings of approximately $100/month!! The kitchen boasts of upgraded maple full overlay cabinets, granite counters, and island. 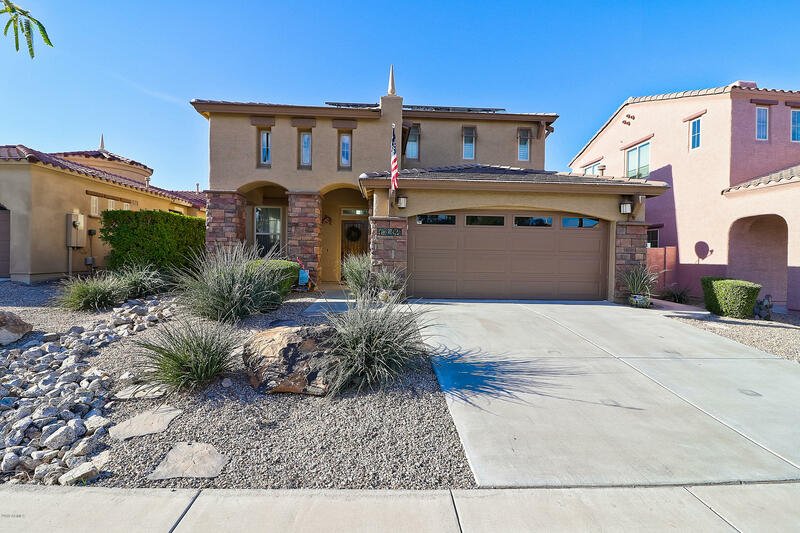 Enjoy the amazing Arizona outdoor living with the fully screened in and extended patio, putting green, beautiful landscaping"
"**Just priced reduced**If you like to entertain, this house is for you! Large kitchen with cherry cabinets, double wall ovens, and granite counters. Back yard features a sparkling pool with spa, fire pit, ramada and built in outdoor kitchen. You don't want to miss his one! $$Please ask about seller incentives$$"
"Amazingly well thought out 2 story with 5bed/3.5bath + loft and split 3 car garage and tons of features, make this home not only large but practical and beautiful as well. Situated in the Golf Course Village's gated ''Fairways'' of Estrella. 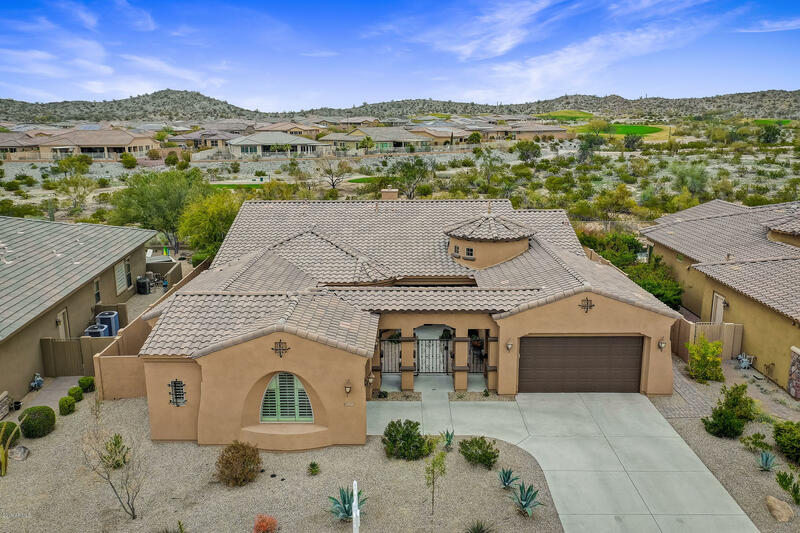 A unique resort-style master planned community southwest of Phoenix that is the perfect destination for your primary residence or a gorgeous get-away home. Include lease solar panel that will minimize electricity cost. New interior paint. 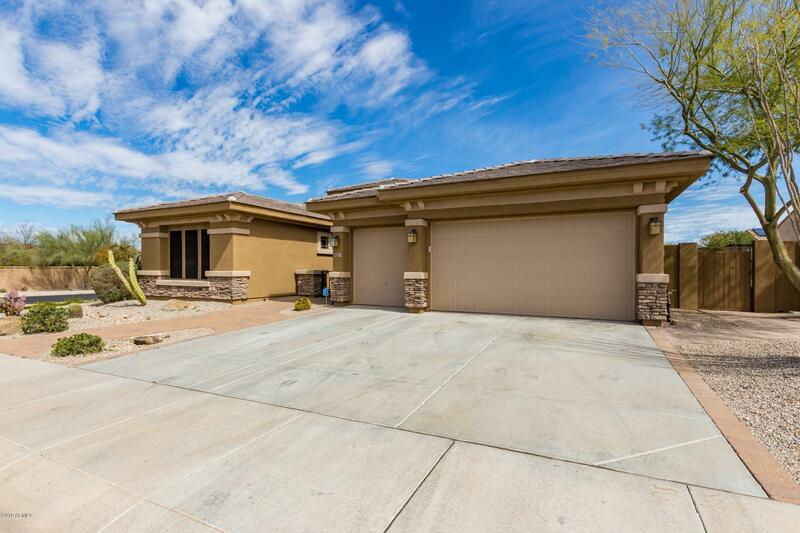 Exterior paint of t"
"Recently Updated, Meticulously Maintained Home in Estrella Mtn Ranch. 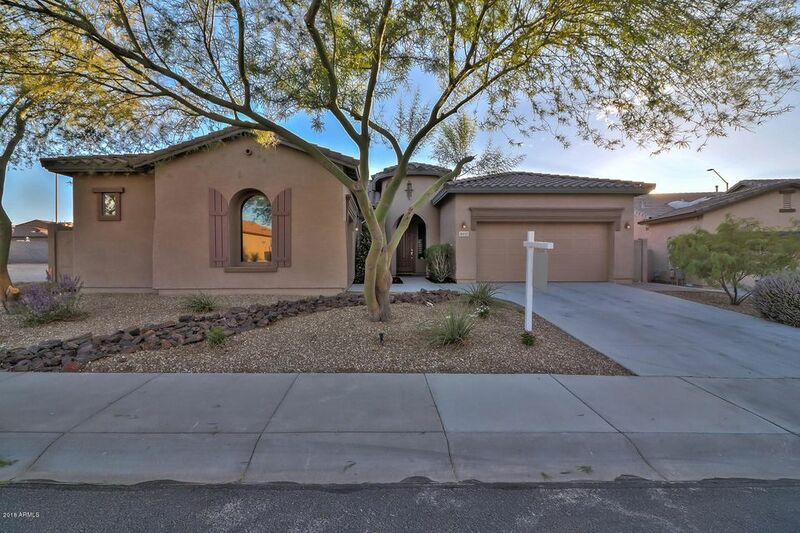 This one owner cul-de-sac home includes a Private Backyard with Desert/ Mountain views & Pool, Beautiful Eat in Kitchen with Granite Counter Tops, Kitchen Island, adjoining Great Room with Fireplace, Living Room/Dining Room, 2nd Patio and split Mater Bedroom. 10ft ceilings, Tile & wood laminate throughout, carpeted bedrooms. Audio pre-wire, Invisible door screens, sun screens. Owned Solar contributes to lower electric bills." 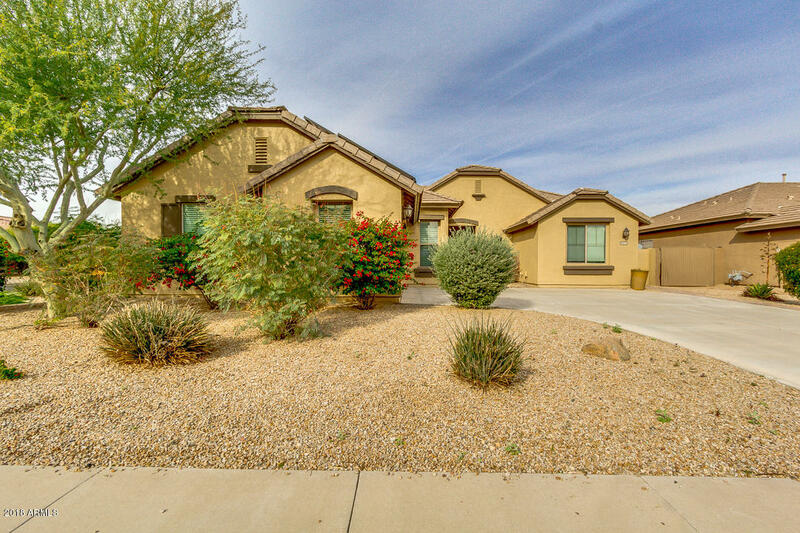 "Come see this beautiful home in Estrella Mountain Ranch. You'll love the upgraded kitchen with granite counters and a large center island. Beautiful hardwood floors throughout common areas and carpet in all the right places. Enjoy the resort style back yard with a private pool and spa surrounded by lush landscaping. Don't miss the breathtaking mountain views from the balcony off the spacious master bedroom. Upstairs has a loft and upstairs laundry room. 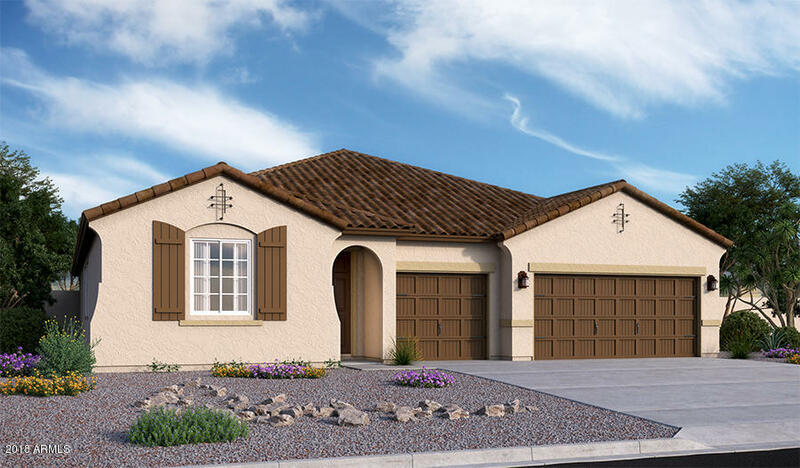 This home also has fire sprinklers for "
"Part of the Mountain Ranch neighborhood in Estrella's masterplan, The Links offers ranch-style homes with easy access to an array of exciting amenities. Golfers will enjoy the close proximity to The Golf Club of Estrella, an 18-hole championship golf course by Nicklaus Design. If water recreation is more your style, check out the fishing and kayak racing at Estrella's 72 acres of lakes. 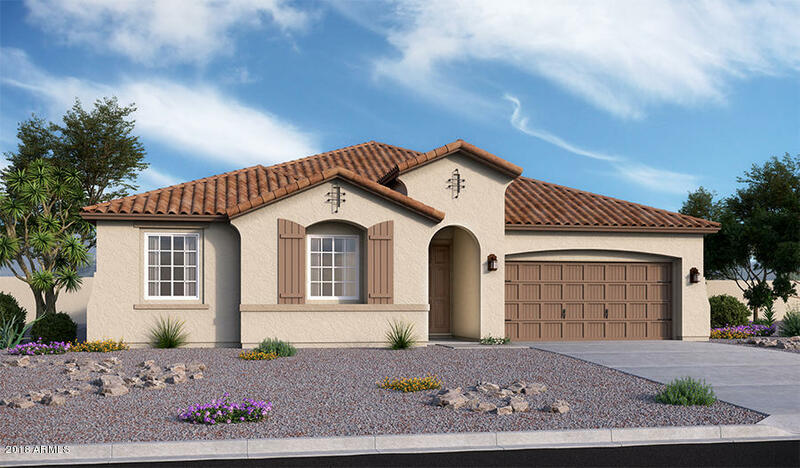 Parks and trails are all moments away, as are the shops of Mountain Ranch Marketplace and Starpointe Residents"
"Come check out this beautiful 5 bed, 3 bath home located in Goodyear. The split floor plan carries nicely and has an open concept. Throughout the house, there is beautiful flooring. Your kitchen overlooks into the living room, allowing you to converse with your guests comfortably. Upstairs, there is a spacious loft that would be a perfect space for a game room or play area for the kids. Your master suite is overly spacious and has a reading nook by the bay windows. Step outside to your backyard "
"Welcome home! 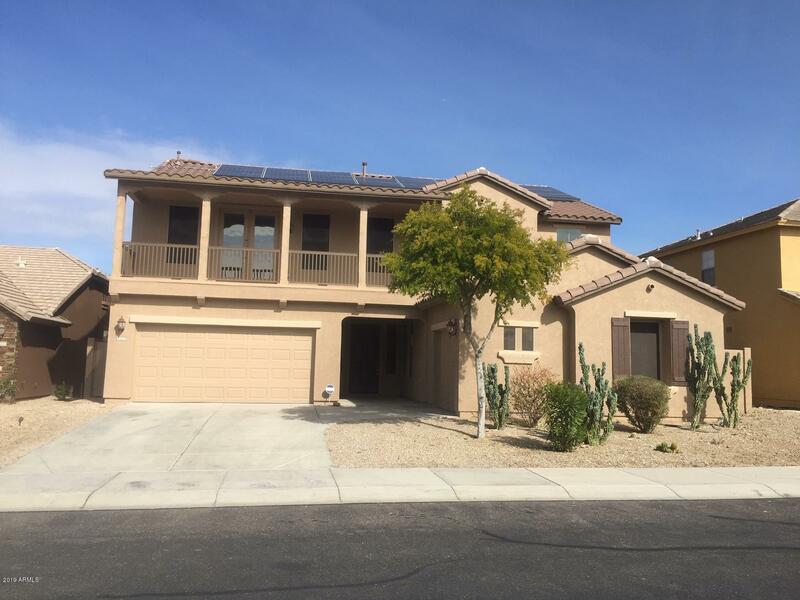 This beautiful SOLAR home in Estrella Mountain Ranch has it all! Very private location backing up to wash and no neighbor to the north. Open floor plan perfect for entertaining. Kitchen features granite, SS appliances, espresso cabinetry and walk in pantry. Large family room features fireplace and walk out to covered patio that extends the length of the house. Master bedroom is downstairs and has a private door out to the backyard. Master shower was recently reconfigured. 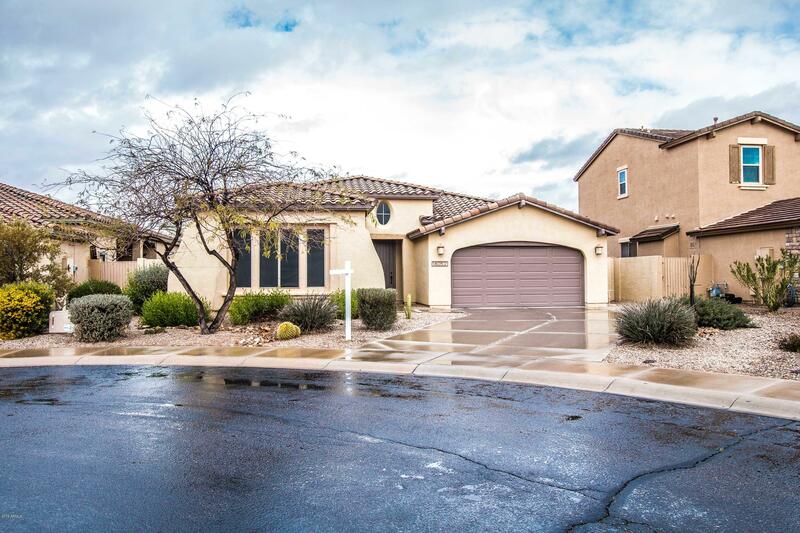 Downstai"
"Beautiful home situated in the heart of desirable Estrella Mountain Ranch! Offering numerous amenities, community center, shopping and entertainment! Incredible open concept floorplan offers 3 car garage, spacious laundry room, new plush carpet and paint throughout, beautiful upgraded light fixtures at entry and formal living, built in TV w/speakers, upgraded wood plantation shutters, 2 sliding glass doors leading to patio and more! 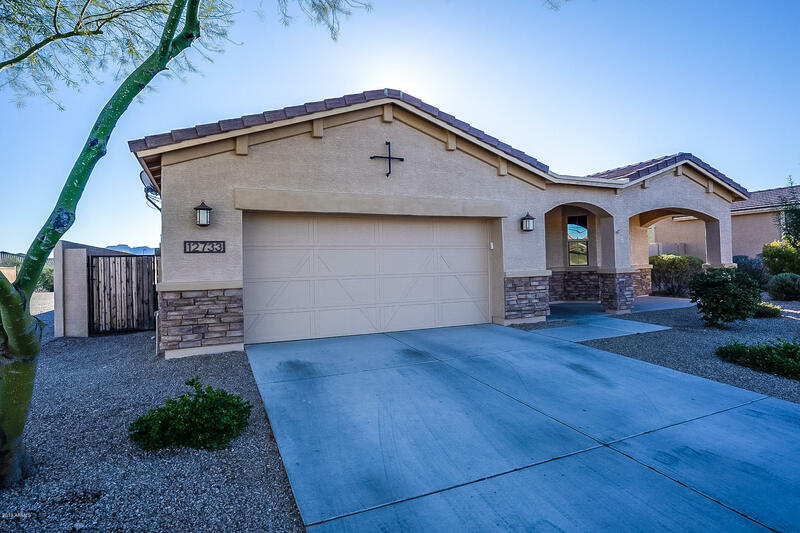 Gorgeous island kitchen features stunning granite counter tops"
"This amazing 4 bedroom, 2 bath home is located in The Fairways gated neighborhood in the master planned community of Estrella Mountain Ranch. Relax on the patio enjoying the beautiful mountain views and sunsets while overlooking the fairway of the 4th hole of the Golf Club of Estrella. The beautiful open kitchen features upgraded cabinets, granite countertops, built-in desk area, and enough counter space for all your gatherings. The master bathroom features a shower and separate soaking tub, dua"
"WOW! This home is AMAZING! It's a completely move in ready, well maintained 3 bedroom 2 bath home located on a HUGE LOT. New AC and Furnace in 2016, New Water Heater in 2019, New Water Softener and R/O in 2017, Wood Laminate floors in all bedrooms (NO CARPET in home), Heated POOL with SPA, and don't forget the SOLAR SYSTEM providing electric bills that are only $10/MONTH ALL YEAR LONG! 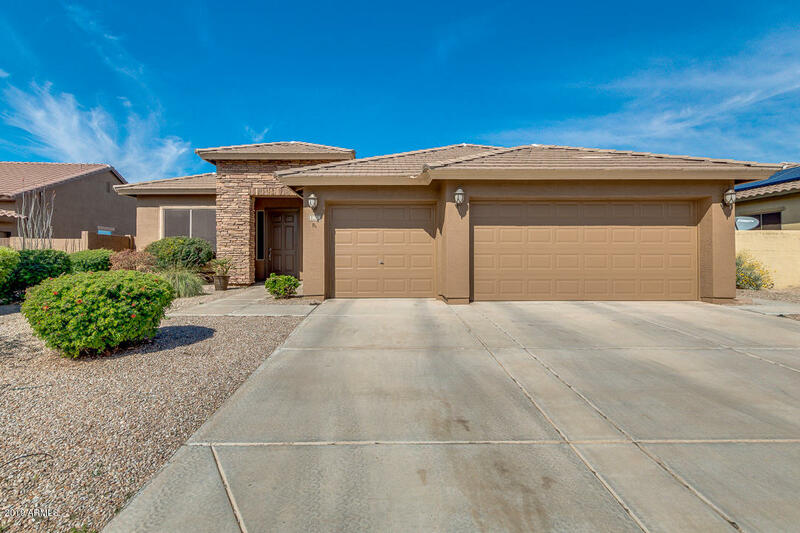 In addition to the heated pool and spa there is a large paver seating area with low maintenance artificial t"
"Check out this move in ready 3 bedroom, 2 bath plus office home located on a corner lot backing to a common area in the amazing community of Estrella. Backyard has sparking pool to entertain guests in during the upcoming summer months along with two large pergolas providing tons of shade. Upgraded laminate wood flooring flows through the home including the bedrooms with large updated tile in the kitchen and bathrooms. Office/Den has barn door for privacy. 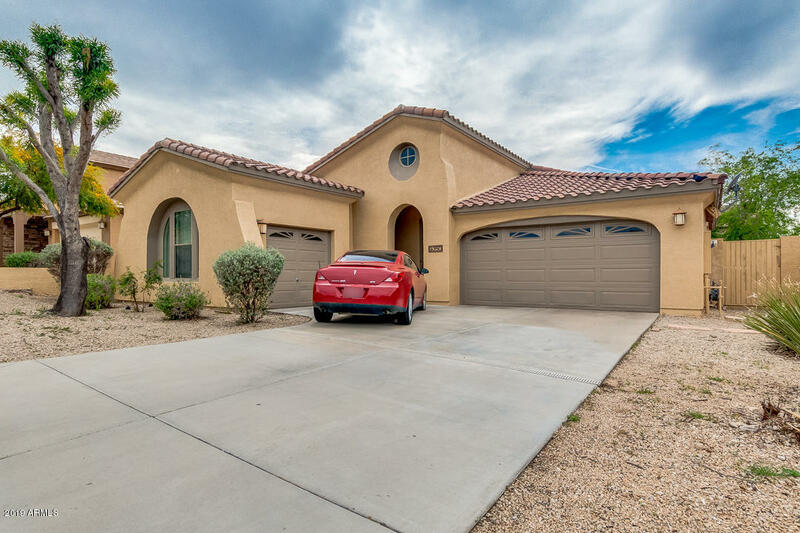 2 Car Garage offers built in storage"
"This beautiful Estrella Mountain Ranch home has a split floorplan and boast 3 bedrooms, 2 full baths, 3-car garage and a Pebble Tec pool. There is also a large bonus room that could be used as a formal dining room, office or game/play room. The bright and open kitchen features upgraded cabinets, granite countertops and plenty of natural light from the windows overlooking the sparkling pool. 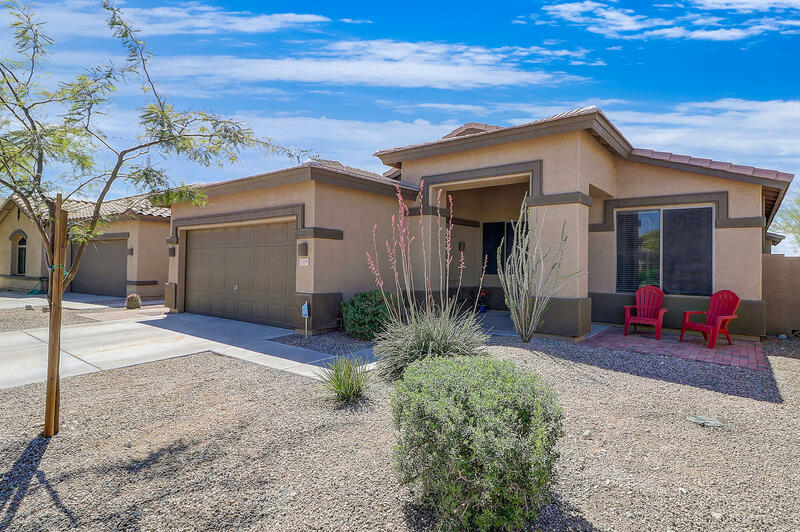 The large master bedroom features a bay window and the bathroom has dual sinks, separate tub and shower an"
"Generous corner lot located in a gated golf course community in Estrella Mountain Ranch! This home welcomes you to an oversized great room, 10' ceilings, 20'' tile flooring, 4'' baseboards, & a custom paint palette. Split master floorpan w/ 3 spacious bedrooms + den/office. Kitchen features rich wood cabinetry, granite countertops, w/ an island/breakfast bar. Master suite offers a double sink vanity, walk in shower, separate garden tub, large walk in closet, & instant access to the back patio! E"
"Gorgeous home with simple luxury and ready for It's new owner! Fresh Gray-tone paint. Stainless Steal appliances. Tons of kitchen storage with an eat in kitchen nook. Comes with washer and dryer and a refrigerator. Garage has built in over-head shelving. Beautiful low maintenance front yard and back yard! MUST SEE!!"